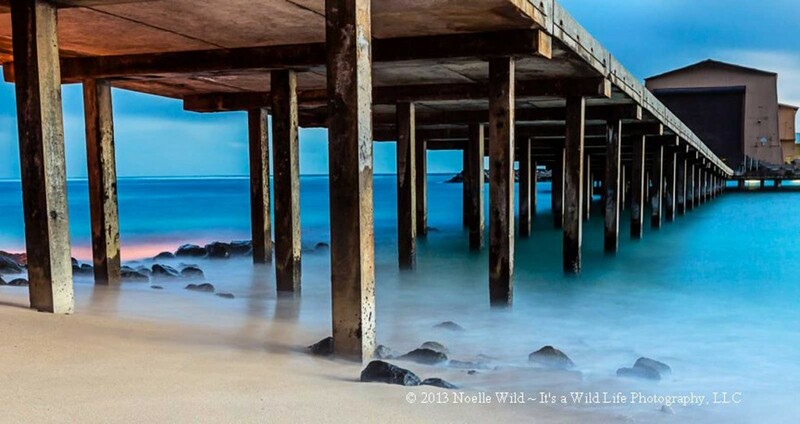 About half a mile past Sea Life Park and northwest of Kaupo Beach on Oahu’s Windward coast one finds the Makai Pier. The pier’s positioning and pillars make for dramatic images of repetition and of man-made meeting nature. Above water, Makai Pier houses Makai Ocean Engineering, Hawaii Underwater Research Laboratory, and a few other marine-focused companies. Below water, the pier hosts a large number of snorkelers and divers exploring the shallow reef and the wide variety of life found nearby.